Founded in 2008 as a passion project of brothers Zaven and Hratch Ghanimian, Zeghani is dedicated to the proposition that women deserve jewelry that matches their personality to a T. To that end, the inestimable designer has put together collections united by a common theme—and all of the bridal jewelry and fashion pieces in those collections echo a kind of elegance that a woman can trust to reflect her tastes. 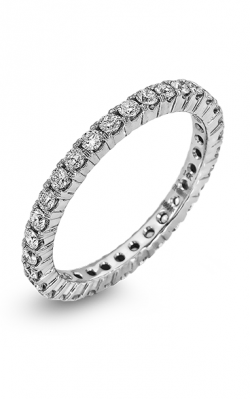 Here at Medawar Jewelers, we’re pleased to be able to bring Zeghani jewelry to our customers, and we’re confident that whether you’re looking for fashion jewelry, engagement rings, or wedding bands, Zeghani has something for you. Zeghani divides its jewelry into 6 major collections: Nature Lover, Classic Beauty, Delicate Diva, Blindingly Beautiful, Vintage Vixen, and Refined Rebel. Nature Lover is made for the woman who finds her inspiration while hiking through local trails and seeing the orange poppies blooming. This collection focuses on organic imagery, such as feathers, flowers, vines, and jewels that reflect the colors of nature. Vintage Vixen, on the other hand, draws most of its inspiration from the 1940s, when the bold lines and forward-looking positivity of Art Deco met the sultry chrysophrase and sepia jewels of classic Hollywood. And speaking of classics, the Classic Beauty collection embraces minimalism in its simple gold structures and glittering diamonds, making for a line of jewelry that remains fresh for every generation of woman. The Refined Rebel collection is Zeghani’s most exotic line, with re-imagined classic symbols, unexpected shapes, and bold flashes of color from unusual jewels like rutilated sapphire and lemon quartz being common elements in this aesthetically DIY collection for women who live outside the box. Blindingly Beautiful, a collection that favors pave-set jewels, lives up to its name: Even the barest flicker of light is enough to set these pieces of bridal and fashion jewelry alight with fire and pools of light. 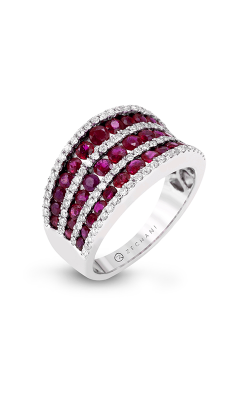 And last, but not least, the Delicate Diva collection favors a delicate European style. For the woman whose heart lives in Paris, Delicate Diva is rich with dainty details and smooth curves that mark these pieces as treasures best paired with a glass of wine on the Champs-Élysées. Why Shop for Zeghani at Medawar Jewelers? For over 39 years, Medawar Jewelers has been trusted by its community to find the best and most elegant choices of jewelry for our customers. Zeghani represents one of the finest luxury brands we offer, and we’re always happy to show off the other atelier designers whose bridal collections and fashion jewelry illuminate the lives of women. 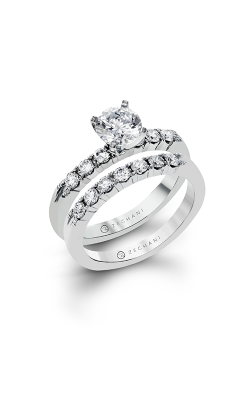 Additionally, if you’re looking for GIA-certified diamonds or Swiss-quality timepieces, we’re happy to help too. If you’d like to find out more about Zeghani or our white-glove services, contact us at 855-850-8015, or visit us at our West Lansing, Okemos, Jackson, Portage, or Brighton showrooms today!